At each end of this unit are pop-out beds which sleep 2 people each. 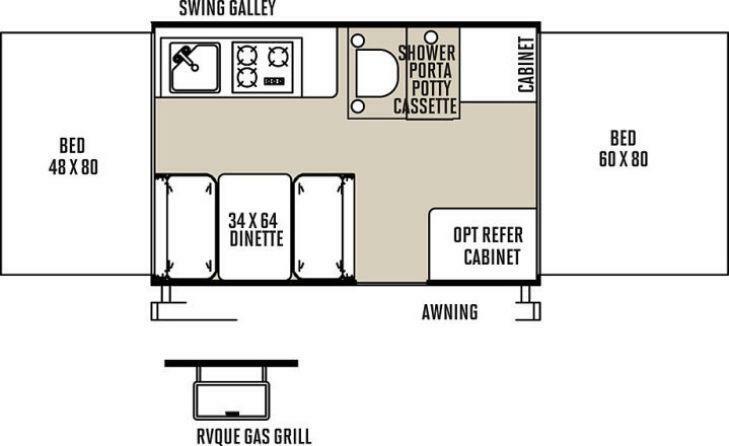 In the center is the main living area which includes a bench dinette, shower/toilet cassette, cabinets, and a kitchen. In the kitchen you will find a sink and 3-burner stove to make great meals during your trip.